My home state of West Virginia has a violent history. It’s been witness to notorious feuds, such as the one between the Hatfields and the McCoys. It’s been the scene of some of the bloodiest labor uprisings in American history, including an incident at Blair Mountain in which nearly 15,000 coal miners engaged in a week-long battle against company-hired police and federal troops. And West Virginia was the birth place of Hasil “the Haze” Adkins, the founder of psychobilly and horror rock. If this weren’t enough to establish the horror pedigree of the Mountain State, it’s also the setting for a number of contemporary horror films and television shows. West Virginia has seen its share of coal mining tragedies, and there are some truly eerie ghost towns scattered throughout the state. In some cases they are the sad result of post-industrialization and a dwindling economy, and in others the result of the coal mining company that owned the town simply deciding to pull up stakes and leave. 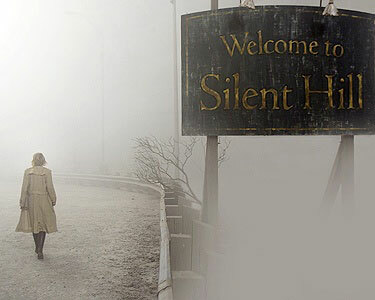 Or, in the case of fictitious Silent Hill, West Virginia, it’s the result of a horrible coal-mining accident, nightmarish mutant creatures, murderous religious fanatics and one possessed and pissed off little girl. I’ve lived in West Virginia for a long time, and I’m still a bit confused about the state’s most notorious monster. Sightings of the red-eyed, winged Mothman began in the late 1960s near the West Virginia town of Point Pleasant. Somehow, the creature is connected to an old, World War II era TNT factory where it is usually spotted. Its appearance also coincides with UFO sightings and reports of other apparitions, poltergeists, and paranormal activities. In its most famous sighting, the creature appeared hovering above the Siler Bridge outside of Point Pleasant days before it collapsed, killing forty-six people. Thankfully, The Mothman Prophecies leaves out a number of these odd details, as the film is confusing enough without them. Even though I’ve yet to see the creature, the sight of the Mothman statue in the center of town was well worth the drive to Point Pleasant last summer. Even though this film delves into the worst stereotypes associated with my home state, I am a fan of it. I can’t deny that it features some of the most gratuitously violent and perfectly depraved villains you’re likely to encounter in a horror film. And with names like “Three-Finger,” “Saw-Tooth,” and “One-Eye,” it’s clear that the filmmakers are not going for realism here. This is pure exploitation. And I love it. 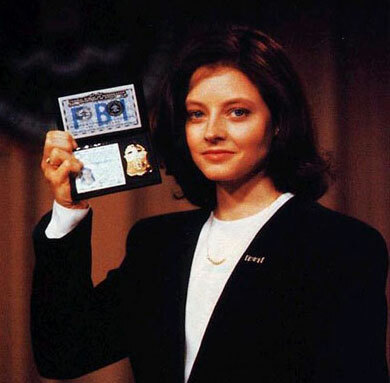 The fact that Clarice Starling is from West Virginia is central to this film’s story. She is the allegorical country innocent who must come to grip with the depravity and evil that exists in the larger world. 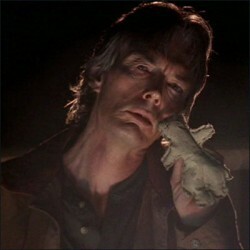 Also, one of the film’s most important scenes takes place in Clay County, West Virginia, where one of Buffalo Bill’s victims is found with a moth stuffed in her mouth. Starling has to deal with not only the gruesome murder, but also with returning to her own troubled roots, a fact made clear in the awkward funeral home scene. The film is really Starling’s coming of age story, a fact not lost on Hannibal Lecter, who takes a profound interest in her growth and potential. Not only does much of the second X-Files movie take place in West Virginia, many of the episodes from the 1990s do as well. Any time the series needed to get away from the urban sprawl of Washington, DC for someplace more private or gothic, they always ended up in West Virginia. 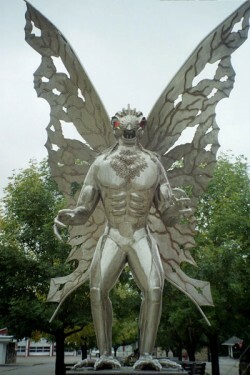 The show also featured their own version of the Mothman creature. And one of my favorite villains from the series was Orel Peattie, a mountain man from West Virginia who practiced an Appalachian version of folk magic grounded in this state’s Celtic and Scotch-Irish heritage. I live in the town of Weston, where not much ever happens to make the news. 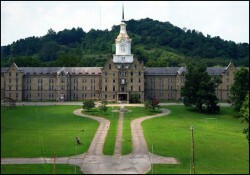 But all that changed in 2008 when the popular television show Ghost Hunters arrived a few blocks from where I live to film an episode of their show in Weston’s historic Trans-Allegheny Lunatic Asylum. Built in 1864 and in operation until the 1990s, the asylum was state-of-the-art for its day, and is one of the largest hand-cut stone masonry buildings in the United States. It’s one of the most impressive and also creepiest buildings you’re likely to see, with seemingly endless stone cells, fallen stairways, spiraling towers, and a basement where I’ve been told the criminally insane were housed. For what it’s worth, the folks from Ghost Hunters declared it officially haunted. This entry was posted in Ghosts, Monsters. Bookmark the permalink. I have family residing in Core (just outside of Morgantown) and having visited there my whole life, I’m surprised there aren’t MORE horror films set there! Beautiful nature, but weird place. Emily, I absolutely agree. West Virginia is a beautiful, strange, and largely misunderstood state, and with its equally ambivalent history, it’s the perfect horror setting.